Kristine is absolutely amazing, but don't just take my word for it. The compliments I received from other vendors, including our venue, on Kristine’s event coordination is a true testament to how incredible she is. Initially I wasn’t sure that a wedding coordinator was something we would need - but I could not have been more wrong. Kristine is so thorough, and our phone calls and meetings put my mind at ease and helped me feel organized leading up to our event. The day of, she was truly a lifesaver. I didn’t have to worry about a single thing because I knew she was on top of it! She had a timeline nailed down, vendors were all coordinated, and we were all truly able to enjoy our evening with family and friends while she ensured we were all taken care of. Her attention to detail and knowledge of the industry is unmatched - she was truly the best person we worked with in all of our event planning. There are only great things to say about Kristine with Simply Charming Socials. She was my partial planner and day of coordinator since we had found the venue already. She helped my vision come to life and edit all my ideas down so they were tasteful and impactful. She is detail-oriented, so thorough, genuine, understanding, and amazing to work with. She is incredibly professional, knows the industry so well, you'll feel like you're in the BEST of hands! Her vendor network and resources are amazing. I'm racking my brain how I can work with her again! Best decision I made for my wedding! Kristine with Simply Charming Socials was more than awesome! She did so many things that made our wedding day run flawless. Aside from telling us all where to be and when, she went above and beyond. She made plates for us, got us drinks, she even sewed up the arm to my lace jacket that I wore for the ceremony when it had a tear in it. She made sure everything was the way we wanted it. She came very prepared with things for the day of and knew what to do and who to contact when things were getting off track. Would recommend her to anyone. Where do I even start with how awesome Kristine is?! We used Kristine for month of planning during the final month before our wedding. She was awesome from the start, always letting us know we could reach out at any point, even before the final month. For the final month, she coordinated all of our vendors for us which was something that was extremely stressful for me to even think about and made sure they had everything they needed and knew exactly what we wanted and what they needed to do day of. She is extremely knowledgeable, organized, has a keen eye for detail, and will adapt as necessary. Our day 100% would not have been what it was or run as smoothly if it weren’t for Kristine. I had no stress the entire day because I knew Kristine was at my venue making everything happened and that when I arrived she would walk me through the whole night. We loved everything about our wedding and so did our friends and family. 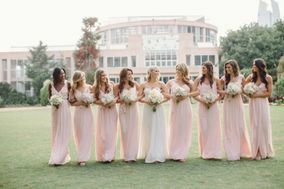 Our entire bridal party and both sets of parents couldn’t stop raving about Kristine and how they wish they had known about her for prior events. She was beyond worth every penny spent and we would definitely recommend her to everyone! Wow- I do not even know where to begin to say how amazing Kristine is in design, coordinating and overall support. She made our dream come true and made the wedding exactly what we pictured. From the very beginning intro call, to the final meetings she was with me every step of the way asking amazing questions and helping discover the best ways to make all the details come together. We had monthly calls to check in on progression but she was also always there through email to assist me with any detail that was needed. She had amazing referral recommendations which we were so pleased with from the photographer, to the florist, to the calligrapher everything was right on point! Kristine is truly an incredible asset and our day would not have been as perfect without her each step of the way. She knew all the right questions to ask each vendor and I even received comments from some of the vendors that they had never seen such strong communication and planning skills. She exceeded my expectations in every way. I would 100% recommend Kristine and her team to everyone looking for help throughout their wedding planning. Kristine with Simply Charming Socials is absolutely wonderful. We hired her as our day of coordinator, but really she was in it for the whole month before. She was a crucial part of our wedding coming together and being perfect on the day of! She really made sure that all of our little details came all together, from contacting all of our vendors, to making a timeline, to keeping the actual day stress free. She's amazing. We literally had NOTHING to worry about the day of, which is what every couple's wedding day should be! On top of that, she was just so lovely to work with. She's always smiling and has such an optimistic view about everything. If you book her, you definitely will not regret it! I exchanged emails with a few wedding planners when I was ready to book a day-of-coordinator. Many of the ones I spoke to felt like a machine, they didn't bother to understand your needs before providing any information on what their services are and what it's like to work with them. Kristine was not this way! She worked to understand what style of wedding we were going for and our budget of course, she also felt friendly and down-to-earth, while also direct and detail oriented. We booked her for our day-of-coordination as well as some vendor recommendations since we lived out of town. Throughout that time she was always responsive and helped us in finding vendor alternates that might be more open to serving our remote venue in north Georgia. Then, about 3 months before our wedding, the weight of it all set in and we knew we needed her for more. She worked with us to figure out a plan that made sense for us since we had already done a lot of planning and covered the things we really needed help with. (ie: all the freakin' details!) Kristine ramped up quickly jumping into all the planning I had already done. She honed on our stylistic vision, (she improved it actually) and communicated this back out to our vendors. When we were unsure about preferences, she weighed in with her oppinion based on her experience rather than what she thought we wanted to hear which we really valued - and she was always right of course. The result was the best day of our lives. We felt like we were in such good hands - we literally didn't think for a second about any of the details or logistics and just enjoyed our wedding day. How many people can say that?! I can't recommend Kristine enough for wedding planning, design, and styling! My husband and I had a fabulous wedding day and I can honestly say that it would not have been the same day without Simply Charming Socials and Kristine. We booked Kristine for day-of-wedding planning (which I've told all of my bride-to-be friends is non-negotiable, you MUST have AT LEAST day-of coordination). Kristine went above and beyond to make sure everyone (including the MOB) were happy and comfortable on the wedding day. "How should we do the chairs?" "How many appetizers should we offer?" "What time should we all get to the venue?" Kristine made such a huge impact on our day with only day-of coordination I can't help but imagine how much more wonderful everything would have been if she'd been brought on for full planning services. When I first started planning my wedding, I wondered if having a wedding coordinator was something I even needed. The answer is yes, I ABSOLUTELY needed one, and Kristine became so much more than just a wedding coordinator to me and my mom! If you're not in the wedding business- there are just so many things that you don't realize are going on behind the scenes! Kristine's ability to see my vision, but also be realistic and make suggestions that would work for my venue and budget was outstanding. Her connections in the industry also really helped me score vendors that would have been really hard for me to obtain on my own. Another thing that set her apart in my mind was how available she made herself- especially right before my wedding when things really picked up. In addition, myself, my husband and so many people commented on how flawlessly our wedding day flowed- all because of Kristine and her team. If you're looking for someone who knows this business, someone with impeccable style, and someone who knows when to be calm when others aren't and when to make things happen for your event- you've found her! My wedding would have never been the perfect day it was without Simply Charming Socials! Kristine and Hayley from SCS utterly surpassed my expectations in EVERY way. My husband and I got married in a new venue that was still a construction zone when we booked it - there is *no way* we would have been able to pull off a wedding there without the sheer genius of the SCS team!! Thank goodness we hired them, because it ended up being a dream come true. 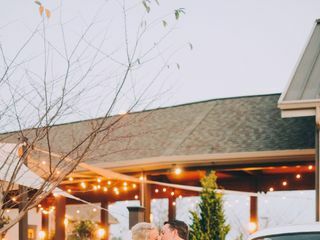 Everything from asking the venue coordinator about the outlets and power for the DJ, to wondering about load in logistics (all things that my naive wedding mind would have had no idea to ask about) to finding the perfect dream team of vendors to make it all happen, they were true experts and amazing at their jobs. Kristine was incredible! We used her and her team for the day of coordinating, but she did oh so much more than that. My mom and I loved her from the moment we met her. She knows exactly what she is doing and was able to put both my mom and I's stress at ease from the first day we hired her. She was so organized, professional, and on top of everything. She met with us early on in the wedding planning process, walked us through everything, and helped us think through all of the details that we hadn't yet thought of in order to make my wedding day as I dreamed of. She was the best investment we could have made in our wedding! Everything the day of went off without a hitch...all thanks to Kristine. She was absolutely wonderful! My daughter was married at Big Canoe in Jasper GA on 10-15-16. My wife and daughter selected Kristine from Simply Charming Socials as a wedding coordinator. What a great find! This was our first "rodeo" and Krisitine handled the event tremendously well! The pre-planning paid off! We expected "hiccups" along the way, but if they occurred, she covered them so they were invisible to us. It was truly one of the best days of our lives! Kristine not only met with us numerous times before the wedding (As well as numerous Email communications) but was there on the wedding day before us and stayed until we had left. She coordinated all of the team and provided a flawless event. It was a choreographed celebration from start to finish. I only wish I had another daughter to repeat that day again!!!??? Kristine was recommended to us from a family friend. From the moment my mom and I met with Kristine, we knew she was the perfect person to help us plan our wedding. She not only helped with day of coordination but she helped me design my dream wedding. She listened to what I wanted and suggested ideas that went along with what I envisioned. Wedding planning can definitely be overwhelming but she made sure that we took care of everything that we needed to do along the way and she took care of everything else. The day of the wedding could not have gone more perfectly. All we had to do was show up and enjoy every minute of that day and we were able to do just that because of Kristine and Hayley. Kristine was a fantastic planner! She was always on top of it, checking in with us periodically and I knew she was just a phone call away to help avoid a meltdown. Every time I talked to her, I walked away with a plan of action moving forward. Her ability to help me problem solve was so valuable in the months leading up to the wedding. The day of our wedding was far more than I ever could have imagined, and she worked so hard with our vendors to ensure everything was in place. When I didn't like the vibe of the music the DJ was playing Kristine took care of it IMMEDIATELY so we could continue the party. She is amazingly professional, straightforward, and very easy to work with. Kristine was amazing! We worked with Kristine for the ‘month of wedding coordination’ and I couldn’t be happier – best investment we made. She was extremely professional, always on time and went above and beyond my expectations. We had a fairly complicated (2 ceremonies and 1 reception in 1 day) wedding. They did a phenomenal job helping me to think through the details for this type of wedding, making excellent recommendations, coordinating all the vendors before the day, and managing all the moving pieces the day of. All of that and they are great people to work with. Kristine’s kindness and thoughtfulness made working with Simply Charming Socials even better. My husband and I got engaged during a very, very busy time in our lives. 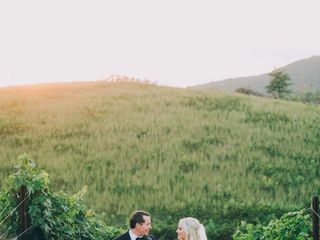 While we were so excited to take on this next phase of life, we were also nervous to begin the planning process and feared we wouldn't have the time we needed to plan our perfect wedding. Luckily for us, we were referred to Kristine within weeks of our engagement and WOW, what a difference that made! From the moment we first met with her, Kristine was nothing but helpful, prompt, creative, organized, easy to reach, etc. 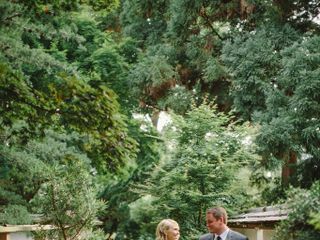 She very quickly understood our design taste and then provided us with the perfect, small list of vendors for each portion of the planning process. We never had to look outside of what she recommended because she was just THAT spot on with every suggestion. 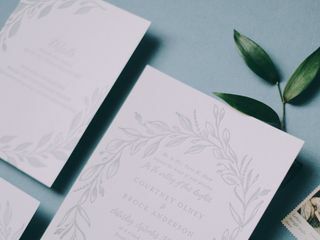 In addition to planning the wedding, she kept us on track with all the miscellaneous things like Save the Dates, Formal Invites and Seating Arrangements. My mom and I often felt overwhelmed by the endless list of things to do for a wedding, but Kristine kept us on track and helped relieve our stress whenever possible. She has a confidence and experience about her that calms your nerves. You can tell she's been doing this for quite some time because she knows just about everyone in the business. And if all of that wasn't good enough, she is also just a really great person and friend. My mom and I both loved working with her and I really enjoyed getting to know her on a personal level. Our wedding was truly perfect and we could not have done it without her!! I didn't quite know what to expect when I first got engaged but I knew I needed Simply Charming Socials to be involved. I had "liked" them on Facebook and was looking at all of their weddings leading up to my engagement. Kristine's style and aesthetic is impeccable and if all of my ideas were going to become a reality I needed her involved. We decided to hire Kristine for full planning and she far exceeded my expectations. From her wonderful vender relationships, to her organizational excellence, to her top notch communication skills, Kristine is the best there is! A little over a week before the wedding I decided I wanted to add a videographer and Kristine made it happen with ease (or at least what looked like ease to me!) The day of the wedding flew by and I don't know what I would have done if Kristine hadn't been there. We had a few hiccups (with family drama) the day of and she went well above her job description to handle them. She and her day of assistant set up the entire reception and made it look amazing! We handed over all of our decorations at the rehearsal and didn't have to think about anything again. It was such a relief to know that everything was being taken care of by someone I trusted so much! No detail was missed and Kristine thought of things that never crossed my mind. She is also very very crafty and did all of my signage for the reception! Honestly, what Kristine did the day of the wedding was well worth every penny we spent for full planning! Not only did we know where we needed to be at what time Kristine was right there to make sure it was happening! I could go on and on about how wonderful Kristine is and how highly I recommend her and SCS! Hiring Kristine was the easiest and best decision I made in regards to the wedding and I would hire her all over again if I could! Wow! What a difference Simply Charming Socials made for our wedding day! Sydney (and her assistant Hannah) were amazing!! From our very first meeting to us leaving the reception, Sydney was there every step of the way making sure that everything was running smoothly and perfectly. She was super great in coordinating with all of our vendors and communicating with them on a regular basis, even on the wedding day! She was wonderful making sure that we were back from taking pictures, to cutting the cake, to maid of honor and best man speeches, and every other little detail in between. We couldn't have done it without them! We highly recommend their services to anyone planning a wedding (or any other event) - they made our day that much more perfect!! Kristine and Sydney were rock stars! We used SCS for coordination. Even though we knew we weren't going to deal with them much till right before the wedding, it was almost more important that we trusted them completely so that the handoff at crunch time went flawlessly - which it did! When I met with Kristine, we had great "vendor chemistry" - I was drawn to her style, organization, business sense, and professionalism, and knew we could trust her to do a great job with executing our vision. Kristine also went above and beyond to advise when we hit a few walls during the planning process - she led us to our awesome customer jeweler for my band, for instance. When it came to the wedding weekend, I felt totally comfortable with her in control. We had several DIY projects, and special "features" to our reception that she understand completely without my having to overexplain anything. 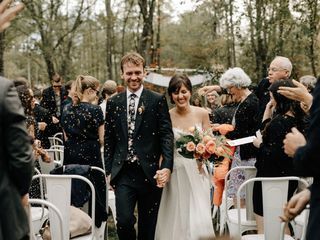 I was a bit of a perfectionist leading up to the wedding weekend, so it's a total testament to Kristine I can confidently say everything went perfectly and she really enhanced the day by making us feel totally taken care of, and freed up to celebrate like guests at our own wedding! Sydney is amazing!!!! She coordinated my wedding day and did a amazing job!!! I have a huge family that can be hard to control and she had them in line!! Everything went so smoothly on my wedding day because Sydney handled every small thing perfectly! I could not be happier with simple charming socials!!! And highly recommend them for your wedding day!!!!! Kristine was a dream! I really think that one of the best things we did for our wedding was to hire a planner/coordinator, and I couldn't have picked someone better for the job. She really took my vision (or what little I could vocalize) and ran with it. Kristine was organized, efficient, and maybe most importantly, very calm though out the entire planning and execution of our day. It was such a luxury to be able to enjoy the entire wedding and reception knowing she had everything under control. I really couldn't have asked for more and would work with her again in a heartbeat! My two-year wedding anniversary was yesterday, and as my husband and I sat down to review our wedding photos, I couldn't help but be so thankful for the wonderful gift of Kristine! Kristine helped me to put my dream wedding into action in so many ways. She talked with me about the overall feel for the wedding and created a concept board, which provided guidance for every appointment from floral to photography, she counseled me when I was stressed or couldn't make a decision to save my life, she created beautiful signage for our ceremony, and most importantly she took care of all the little details the day of that allowed me, my husband, and my family to actually enjoy each moment of the wedding. Kristine was always professional and attentive. She is genuinely kind and invested in your wedding. Finally, she is creative and has impeccable taste. Working Kristine was one of the smartest decisions we made for our wedding and the time leading up to the day! Kristine was my Day-of-Coordinator for my wedding at the Greystone in Piedmont Park. Kristine and Sydney were a fantastic pair to work with. Kristine is thorough, organized and professional. She also anticipated many of my needs prior to my asking. She was diligent and took great ownership even before the wedding to ensure my vendors were on the same page. She executed the day brilliantly while maintaining perfect composure and keeping me calm throughout the day. Kristine was also very organized while guiding my wedding party during the rehearsal (I had 18 people in my wedding party). She was stern and directive when necessary to keep everything on schedule, but she was also gentle and graceful throughout the night. Hiring Kristine was one of the best decisions I made while planning my wedding! I would highly recommend her to any bride looking for an organized and professional planner that can execute with precision. From the moment we first spoke with Kristine, we knew everything would turn out great. We brought her into our planning process late in the game, but she was eager to help and found a way to support us in the final weeks. Our day-of-coordinator was Megan and she had Sydney assisting. They were absolutely what we needed to ensure a smooth event. Megan was decisive, worked hard, kept things organized, and listened to what we needed and wanted. We can't recommend this team highly enough. I've been to plenty of weddings and I've seen the chaos that can happen when one is poorly planned. When our actual wedding day rolled around, we had ZERO concerns about the flow of the day, the vendors, or when and where we needed to be. Kristine and her assistant seemed to be in all places at once handling everything under the sun. I HIGHLY recommend Kristine and her company Simply Charming Socials to anyone remotely thinking about hiring a wedding planner. GROOMS - DO THIS...I repeat...DO THIS for your sanity.